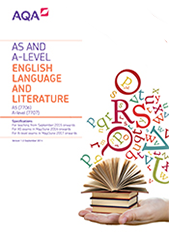 Why AQA English AS and A-level? We've worked closely with teachers and universities to develop English AS and A-levels that excite and inspire your students. Our range of AS and A-level qualifications will appeal to all students, bringing out their best and helping them on their journey to further studies and the workplace. 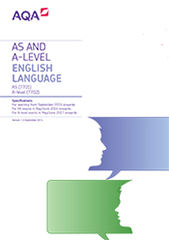 Both AS and A-level provide strong stand-alone qualifications that are fully co-teachable so you can tailor your approach to suit your students. We have a raft of resources available to support all aspects of teaching and learning to ensure you have everything you need to help your students achieve more. Looking for a starter, lesson idea, worksheet or literacy activity? Teachit has a wealth of KS5 resources, activities, worksheets and interactive games - plus teaching packs with everything you need for a series of lessons.